A child is born in Chatham, Ont. Without so much as consulting him (it's a boy), his parents pick a name. "Blair Robert Johnstone" goes on the birth certificate; it has family significance, and the virtue of being ordinary. By the time he's in his 20s, Blair doesn't feel like a Blair any more. He has been reading ancient religious texts, and they've been opening new worlds. In the online video games he plays, he tries out different personas – Ariamchi, Machiari, Chimaira – experimenting with the idea of being someone else. When he's 24, he decides to make it official. Blair pays a lawyer $40 to help with the application. He has given this a lot of thought – the new name is going to fit him, and only him. Finally, after all the paperwork, his new birth certificate arrives in the mail. The small, computer-generated letters spell out his new identity: "Enki-Ariamchi Annubis Zephyrus." Enki-Ariamchi (pronounced En-kee-Arr-ee-am-kai) was one of almost 10,000 people to legally change their names in Ontario last year. (About 12,000 took the plunge in the rest of Canada.) With a few exceptions, all those changes were published in the Ontario Gazette, a little-read compendium of government business that comes out every week. The province requires this by law, as do most Canadian jurisdictions, nominally to thwart fraudsters and deadbeats. But the lists also provide something more valuable and humane: an intimate view of how members of a society see themselves, and how they want to be seen. That snapshot offers insights about the culture: There are patterns in the Gazette, some of which drill to the heart of the demographic changes that have been reshaping Canada for a generation. Diane Dechief, former vice-president of the Canadian Society for the Study of Names (yes, it's real), is an authority on the subject and says that, in 1990, the lists were full of British-monikered women adopting their husbands' surnames. More recently, Asian immigrants anglicizing their names have become more common. But what's most striking is the sheer idiosyncrasy of the changes on display. Even as a mass of government data published in a bureaucratic newsletter, people have a way of bucking rubrics and staying impervious to grouping. It seems that creative rechristenings are in the air. The ancestors of Donald Trump, it was reported during this American election cycle, changed their family name from the homelier "Drumpf" as long ago as the 17th century. And when rock star David Bowie died earlier this year, his fans were reminded that David Jones adopted the iconic handle as a young man to avoid being confused with Davy Jones of The Monkees. Adopting an alias, though, is less and less the preserve of the eccentric and famous: For every Bob Dylan (Robert Zimmerman) or Woody Allen (Allan Konigsberg), millions more now go by names of their own creation on Twitter and Facebook. As in so much, the real world still lags behind Internet culture in this way. 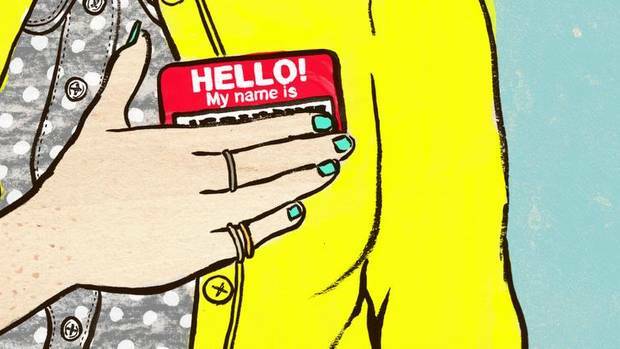 If slipping on a new identity online is as easy as clicking a cursor, the process of legally adopting a name can be a bureaucratic hassle. Ontarians have to fill out an application that is 18 pages long – three pages more than the law it's based on – and pay a $137 fee. And after all that, a registrar still has to approve the application. The decisions can sometimes seem bizarre. When Ali Dowran applied to change his name to Dario Duran in Toronto several years ago, he provided a long justification. (Having an Islamic-sounding name became difficult after 9/11; Dario is an exiled prince from the time of Cyrus the Great.) And yet he was turned down without explanation. So Mr. Dowran tried again. But when asked to give his reason for requesting a new name, this time he wrote, "Because you turned me down the first time." "Funny enough, I got accepted," he says. "Which is crazy to me!" Still, for all its kinks, the process contains a streak of humanity, and shows how times have changed. As recently as 1971, only British subjects (which included Canadian citizens) who were 18 or older could apply to change their names in Ontario. The law also excluded married women, except in cases of desertion by their husbands. Then, until 2007, transgender people were bound by the requirement to publish their name change in the Gazette. In the trans community, using someone's birth name against their will is called "deadnaming," a practice that's considered disrespectful, even hostile. The rule was changed after a campaign by activists. Governments have a hard time keeping their noses out of the naming process, says Julia Shear Kushner, a family lawyer in California who has written on the subject. That kind of meddling, she says, is baked into the very concept of the modern state, with its need to keep track of people for legal and fiscal reasons. In the past half-century, Western societies have generally grown more hands-off in dealing with individual choice, including name changes. But a set of modern procedural issues has also made the naming process more complicated for some. Post-9/11 security concerns led to more stringent naming rules in many countries, Ms. Kushner says. And while people have a right under common law to be officially recognized by whatever name they ordinarily use, what she calls the "thicket" of identification that most people now require – from driver's licence to health and social-insurance cards – means that almost all name changes in the United States go through the courts. If the rules governing name changes seem to bear the stamp of their time, they're also indelibly local, varying widely from country to country. The American rules are relatively freewheeling, administered by the states, and based on the idea of rights. British procedures, meanwhile, have a distinctly British flavour – at once matter-of-fact and oddly archaic. It's nearly impossible to change the name on a birth certificate in England or Wales, because such documents are literally considered "matters of fact" – part of the historical record. (It's much easier in England to legally change your name by a legal document called a deed poll, but that leaves your original birth certificate intact.) Scotland, marching to the beat of its own drum as usual, issues fresh birth certificates to successful name changers for a fee of £55 (about $95). The quirks of getting your name changed in Quebec are equally idiosyncratic. Under civil law, which Quebec uses, changing your name is considered a privilege and not a right, so applications are rare: just over 1,500 between last April and March of this year. And since 1981, it has been virtually impossible for a woman in the province to adopt her husband's name at marriage – long seen as a feminist triumph. The saga around Sophie Grégoire Trudeau's name, recently hyphenated and then dehyphenated, managed to baffle and even offend some observers in Quebec, who saw the adoption of her husband's last name as backsliding. Even more telling than the laws are the sorts of people who make use of them. In Canada, that often means immigrants. New Canadians change their names for all sorts of reasons. In the Ontario Gazette, it's common to see people altering the spelling of their names, especially ones that were originally in another language or alphabet. So, Tasnim Abu Hijleh becomes Tasneem Abu Hijleh. Others seem to be reclaiming their heritage by de-anglicizing their names, like the Ontario resident Brien Provincial, who in 2015 changed his surname to Provençal. Far more common, though, are names changed to sound "more Canadian." That includes a range of tactics. Jewish immigrants of an earlier generation tended to slightly alter both first and last names, so that Avraham Goldstein became Abe Gold. Contemporary Chinese immigrants often tack an English first name on to their birth name, so that Xin Yue Hu becomes Catherine Xin Yue Hu. "Keeping the family name was really important to Chinese immigrants – [they] wanted people to know they were proud to be Chinese," says Ms. Dechief, a lecturer at McGill University who wrote her doctoral dissertation on the role of personal names "in Canada's shifting cultural landscape." Some people Ms. Dechief spoke to during her research said they adopted anglicized names out of an affirmative patriotic impulse. But more often, the reasons were prosaic. "A big priority for everyone was making the names pronounceable" in English, she says. Colombian-born Raul Victor Blandon told her that people were flattening out the Hispanic accent on his first name, so it sounded like Paul rather than Ra-ool. Instead of correcting them all the time, he started going by Victor. Even so, changing a native name can be a tortured decision for new immigrants, with its suggestion of cultural loss. In some cases, Canadians with foreign-sounding names have resisted the urge to anglicize, even at a personal cost. Jehad Aliweiwi was executive director of the Canadian Arab Federation immediately after 9/11, when " jihad" became associated with the holy war that al-Qaeda claimed it was waging against the West. Mr. Aliweiwi kept his name as an act of defiance, to reclaim a word that can also refer to non-violent personal struggle. "In hindsight, I think I wanted to make a statement," he says. "It's part of my identity, part of who I am. And it's a statement on my part to insist that [ jihad] is much more noble than what it's being made out to be now." Of course, many others decided it wasn't worth the trouble. There is no shortage in the Gazette of Abdullahs becoming Bills, and Masouds becoming Masons. Even as the number of name-changing immigrants grows, newlyweds have been vanishing from the Gazette rolls. According to provincial data, 167 people in Ontario formally changed their names due to marriage in 2014 – about one-seventh as many as the 1,157 who did so in 2000. Other women have taken to crafting their public identities in more novel ways. Toronto burlesque dancer Pastel Supernova formally adopted her stage name last year because it felt closer to her true self. "A woman who maintains her so-called maiden name is keeping her father's name," notes the American Name Society's Dr. Nick, who is a sociolinguist and president, as well, of the Germanic Society for Forensic Linguistics. "So it's not as though she's escaping a patronymic system." More women like her are starting to go by their initials – she's I.M., as in Iman Makeba – to stay safe online and avoid discrimination. And, says Dr. Nick, there's a trend in Israel toward married women hyphenating their names with their spouses' as a feminist gesture. Some Muslim women, meanwhile, have taken to showing off their progressive credentials by taking their husband's name, because the practice is more common in the West than in the Middle East, she says. Dr. Nick has always been fascinated by names, partly because hers is so unusual. Her first name, Iman, comes from the name of an author her mother was reading in hospital when she gave birth. Makeba refers to Miriam Makeba, the late South African singer and civil-rights activist. Nick is her German husband's surname. Now a professional onomast – someone who studies proper names – as well as someone who has tinkered with her own appellation, she believes people should have wide latitude in choosing what they are called – for their sake, and society's. 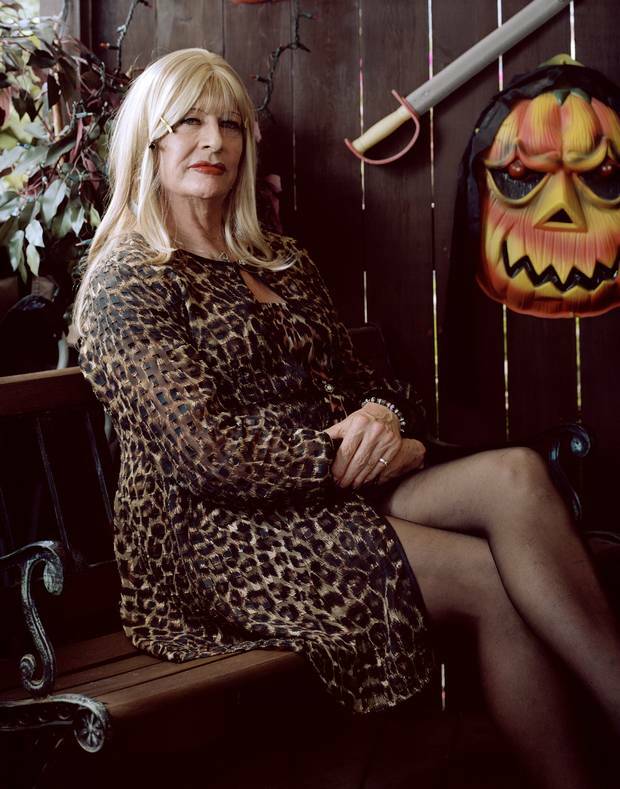 "Everybody has a right to say who they are," she says. "It's a bit like anything in life. Hybrids are always stronger. Diversity has a longer lifespan in the long term. So, we should embrace the creativity." She would get a hearty "amen" from Mr. Zephyrus. His birth name wasn't hard to pronounce or confusing or off-putting. But he understood what so many others intuit: that a name carries a freight of meaning much larger than its constituent letters. And that it says something distinctive, if not always truthful, about the person who carries it. "I just found that it didn't sit right with me any more," he says. "So I just kind of went on an adventure of my own." Eric Andrew-Gee is a national reporter with The Globe and Mail. Some decisions defy convention. Last year, burlesque dancer Raquel Paula Gil-Jimenez Garcia-Moreno became Pastel Supernova – off stage as well as on. She hated her old name – people were always getting it wrong. Pastel is what the predictive text on her phone produced when she tried typing "Raquel." And Supernova "is the ultimate feminine symbol," she says. "For me, that's perfect." In a Facebook message, she expands on this: "There are theories that the black hole at their cores may lead to big bangs in another dimension … so the destruction of the star's explosion itself is Crone, the gorgeous colours they're known for is the Maiden and the potential new life on the other side is the Mother. All things Woman." Her new middle name is Mino, an homage to her mother's childhood nickname, which came from her dark skin – like a comino, or cumin seed. The new name has encountered some arched eyebrows, but her husband "loves it," she says. "He's changing his name to Supernova. We're gonna be the Supernovas!" When he fled Hungary in 1957 after the Soviet Union had crushed his country's nationalist uprising, Erno Csizmadia was alone and afraid. He started going as "Ernest" to fit in. "The discrimination against foreigners and all that was very high," he says. A new name wasn't enough – Ernest still got into fights with bigots. "If you can kick the hell out of the guy who teased you, he'd never bother you again – if he was bigger than you, you ran like hell," he said. "That's how we settled our differences." Still, over time, Mr. Csizmadia became a proud Canadian, settling near Oshawa, Ont. He neglected to formally change his name because he didn't travel and didn't need a passport. But when his wife died a little over two years ago, he finally decided to visit Hungary. For that he needed papers. And he wanted those papers to reflect his adopted identity. "That name, Ernest, had been existing since 1957," he said. Going to Hungary was "strange," he says – especially because he hadn't been back since there were Russian tanks in the streets of Budapest. Suddenly overcome with emotion, Mr. Csizmadia hangs up the phone with a curt goodbye: "I've said enough." 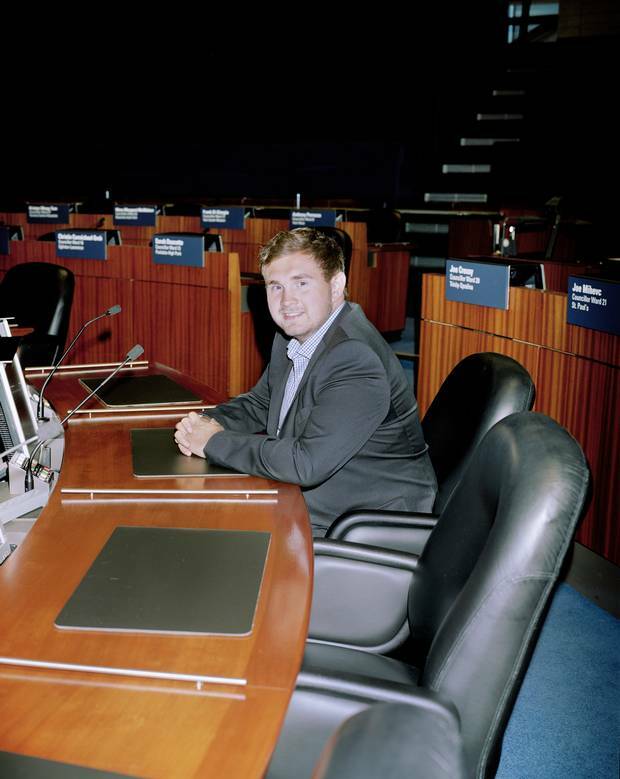 When Michael Douglas Aldo Ford Stirpe changed his name to Michael Douglas Ford shortly before Toronto's municipal election in 2014, it was widely seen as a way to capitalize on his famous family in the Ward 2 council race. But Mr. Ford insists political expedience had nothing to do with it: His father, Ennio Stirpe, was a convicted killer who had spent much of his son's childhood in prison. And his maternal grandparents raised him – while uncles Rob and Doug acted as mentors. Officially going by Ford was a way of giving state sanction to the name he already identified with. "I might as well be who I am," he says. Some name changers stay mum about what they've done, but others, such as Enki-Ariamchi Annubis Zephyrus, like to ramble on, and why not? The metaphorical freight of his new name is arcane and highly personal: "Enki" is the Sumerian god of crafts; "Ariamchi" a kind of palindrome of Chimera – a mythical hybrid creature with a snake for a tail; Annubis the jackal-headed god of the Egyptian underworld; and Zephyrus, Greek mythology's west wind. People ask him about the name all the time, without knowing what they're signing up for. "They venture to ask me, 'Okay, what does that mean?' And then I start to explain, and they get overwhelmed and say, 'Okay, enough.' "
To his mother, he's still Blair, which is fine – he doesn't hate the name, exactly. He just prefers to be called what he calls himself. Some loved ones are starting to come around. His brother recently gave him a gift with a card that read, "To Enki" – which, he says, "was pretty cool." Even over the phone, the sound of her former, male name causes Mysti Rae Meadows, a transgender woman, to recoil. "Oh," she says, "I don't want to hear that." Her present name she could discuss for hours. "There aren't many people who get to choose who they are." "Mysti Rae Meadows" derives from childhood nicknames bestowed by her older brother. One of them was Weed – "because I was extremely precocious, and always popping up in places where I don't belong." Another was Mystery. "He used to say I wasn't a boy, I wasn't a girl, I was a mystery." Hence Mysti Rae. And Meadows because that's where weeds grow. She discusses the wordplay with pride, but also with a residue of pain. When the Toronto musician – whose website, mystimusic.com, offers a curated tour through her uncommon personality – adopted the new name in 2000, she says her family cut off contact. "When I changed my name, I lost them," she says. "Or I think they lost me." Even as a kid, it wasn't easy being Ali Dowran. Growing up in Santa Barbara, Calif., with a Middle Eastern name, he incurred a predictable barrage of schoolyard abuse. 9/11 made the problem worse. Everything from getting coffee to boarding an airplane became complicated. "People's reactions started to change: As soon as I said my name was Ali – I could see it on their face, something changed." Mr. Duran was born in Iran, moved to the U.S. when he was 2, and then to Toronto about 20 years ago. In search of a name less likely to rankle Islamophobic sensibilities, he burrowed into Persian history, and was drawn to the figure of Dario, an exiled prince from the time of Cyrus the Great, accused of sleeping with the emperor's mistress. The romantic outsider appealed to Mr. Duran, now an artist living in London. And he liked the connection it built with his Persian heritage: Ali is a common name in Iran but it's more closely associated with Arabic culture. Duran, meanwhile, was not an eighties-boy-band allusion, just a better transliteration of the family name. "Some idiot in the immigration office in Iran who obviously didn't speak [English] so well decided to go with the D-O-W," he says, laughing. At first, the change bothered his family – "my father especially," Dario says – but now, his old self feels like a distant memory. "When people bring it up, I always say, 'He's dead. He died six years ago.' "